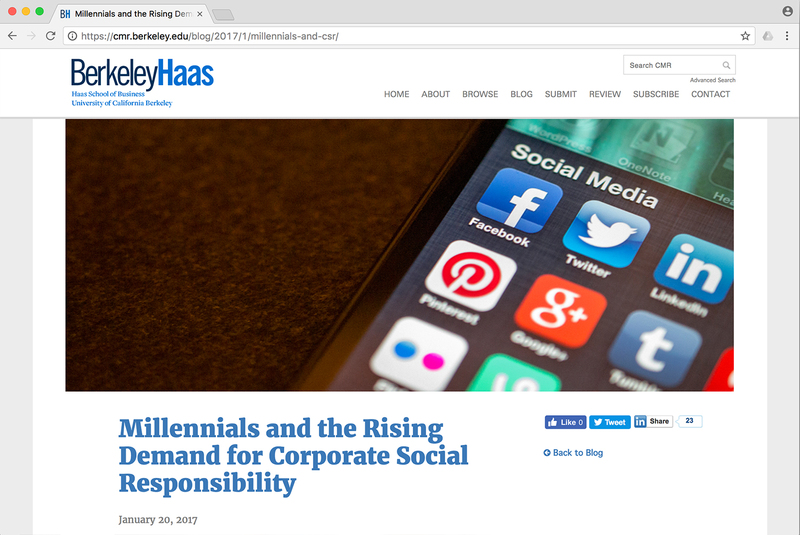 It has become widely claimed that ‘Millennials’* are driving businesses and organisations to be more socially conscious and responsible. There are seemingly hundreds of articles regaling us with statistics which supposedly bear this out. But is it true? 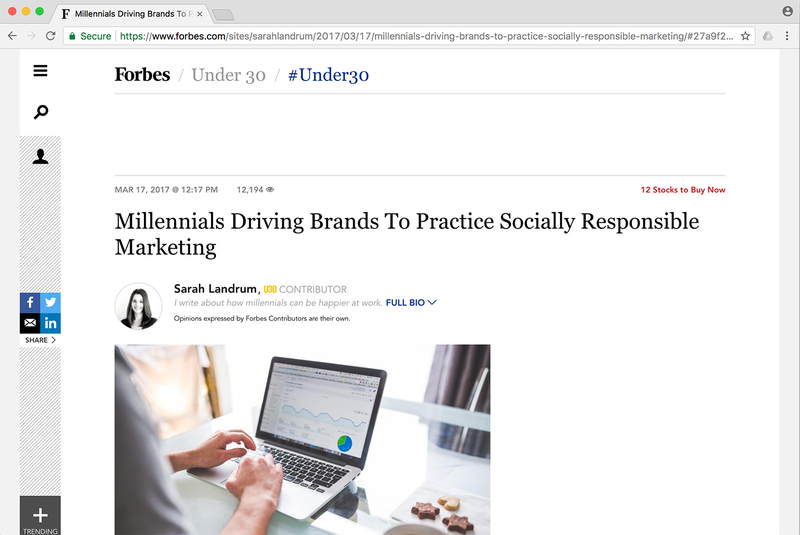 What people seem to have taken from the statistics quoted in these articles is that, all of a sudden, people within a certain age range are more socially aware and demanding of brands (predominantly consumer brands) than previous generations at that same age. I question this, and would like to put forward an alternative hypothesis (I have no evidence as such, so it doesn’t even qualify as a theory). 'Millennials' are no more socially conscious than any generation before. The actual change I suggest has happened is that the self-identity of this generation (‘Millennials’) has become so enmeshed with their associations and relationships with consumer brands that they see these brands as their best route to affecting social change. This differs from previous generations, whose role as citizen and civic activist was distinct from that of their role as consumer. Consumer brands have so cleverly co-opted the social and cultural landscapes that young people see their role as consumer as that in which they have most agency. 'Millennials' self-identity is so enmeshed with consumer brands, it seems their best way to encourage social change. As I say, this is simply an hypothesis, an idea. 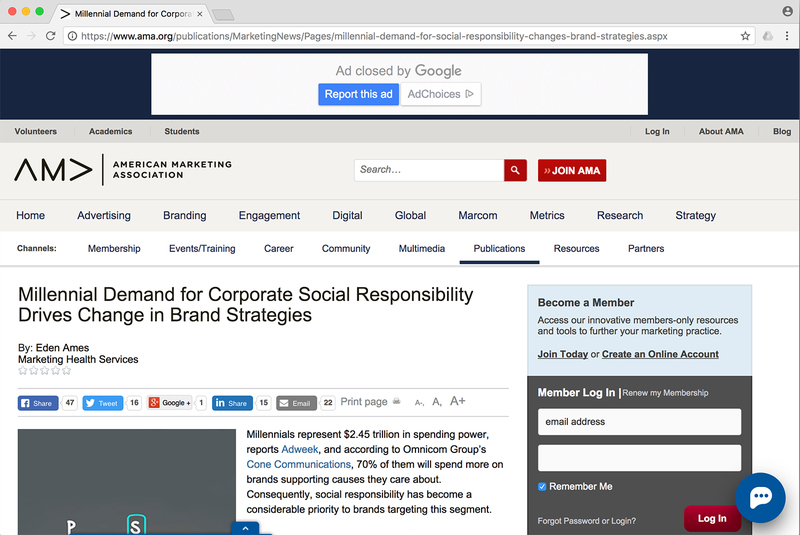 Has social purpose via consumer brands usurped civic activism for ‘Millennials’? Or are they simply more socially conscious than all previous generations? **The idea that everyone born within these years has the same motivations and thinks the same way is clearly nonsense – as is the ‘Millennials’ tag.